This car came to us in a sorry state, major steel corrosion and aluminium oxidisation obvious, even before the interior, front and rear clips were removed. 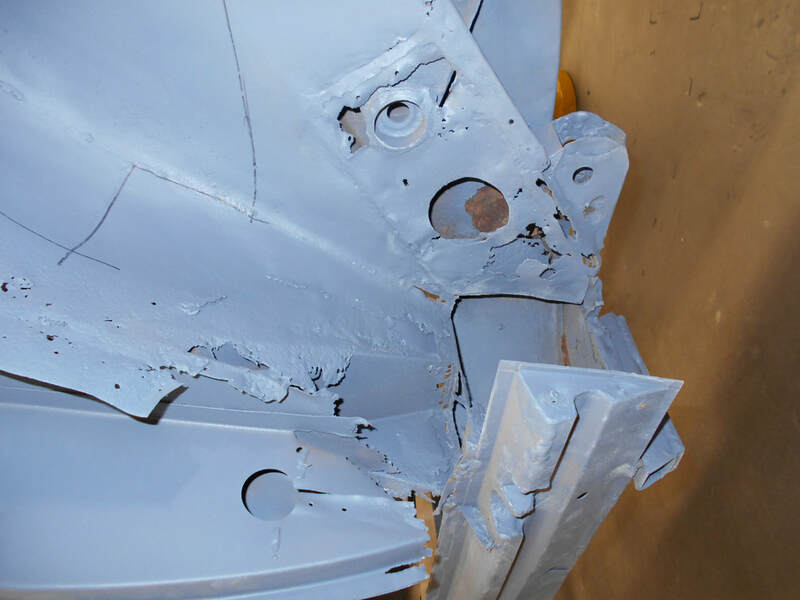 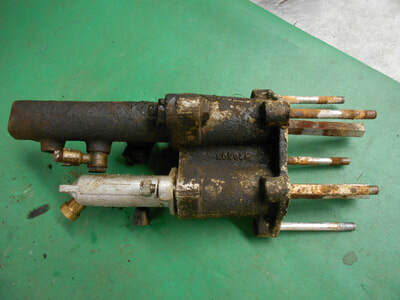 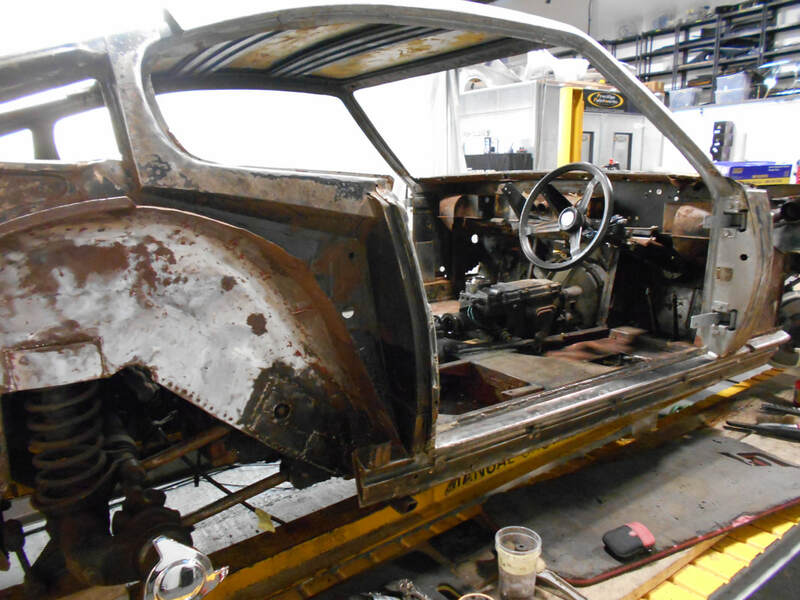 Once completely stripped down and parts catalogued for chroming, refurb and replacement the extent of the corrosion was apparent. 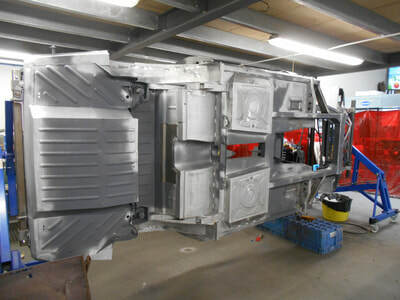 The chassis and door frames were sent off for blasting so we could start the long journey of rectifying the corrosion. The car returned clean of rust and full of holes. Over 700 hours of remedial work went into addressing the corroded areas of steel work, fabricating all replacement panels ourselves. 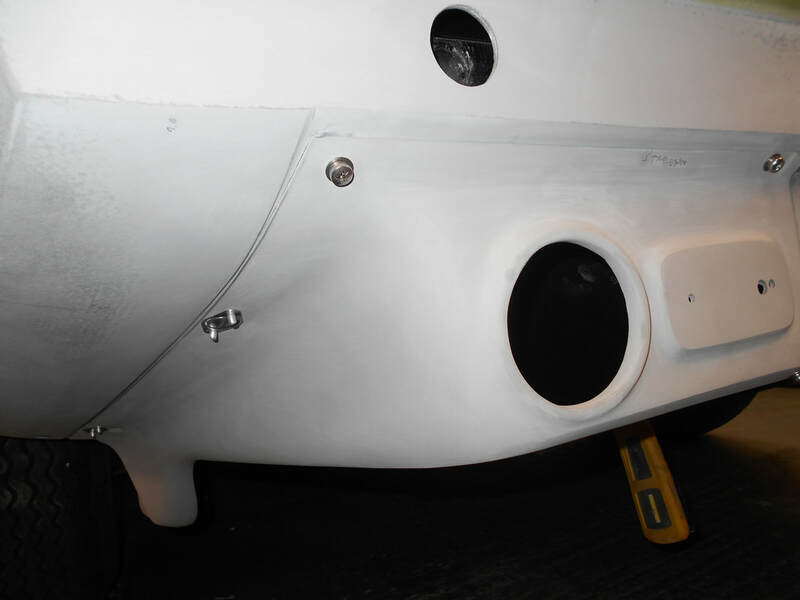 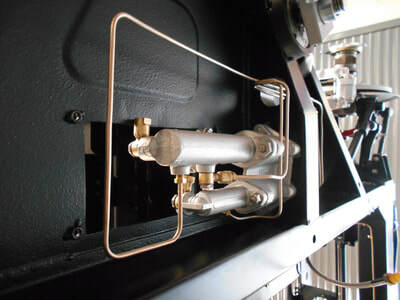 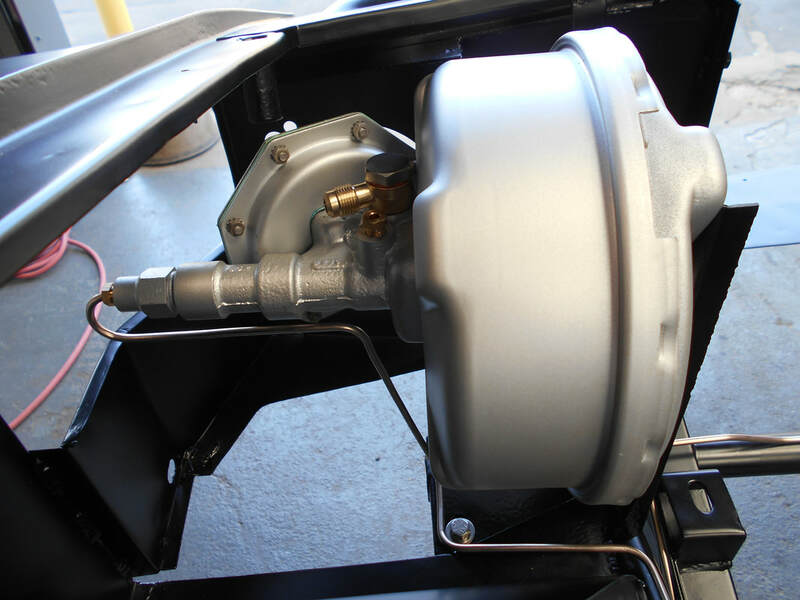 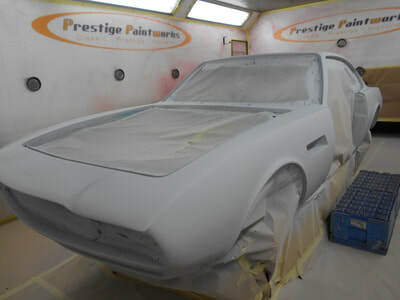 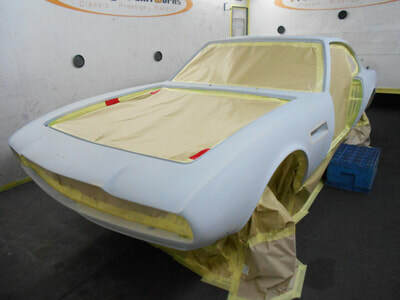 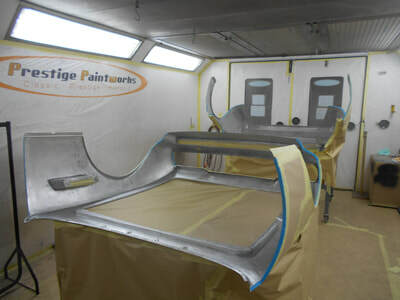 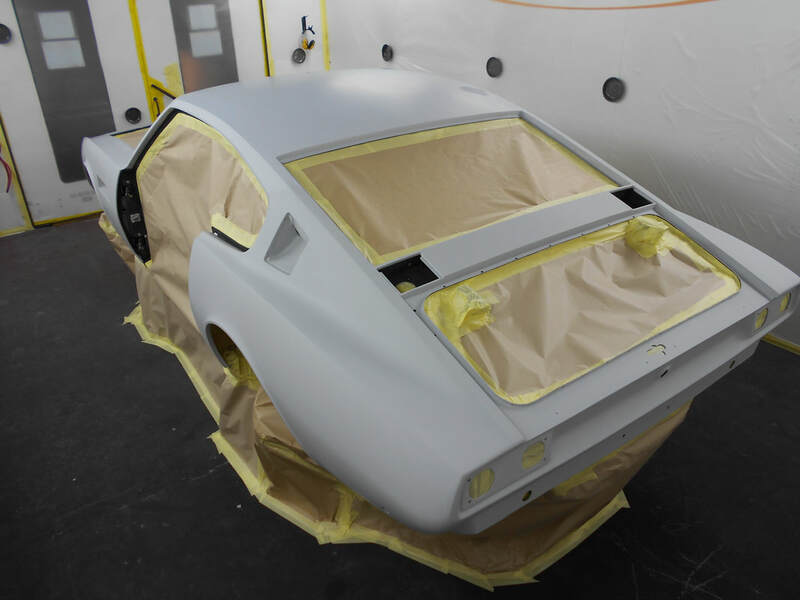 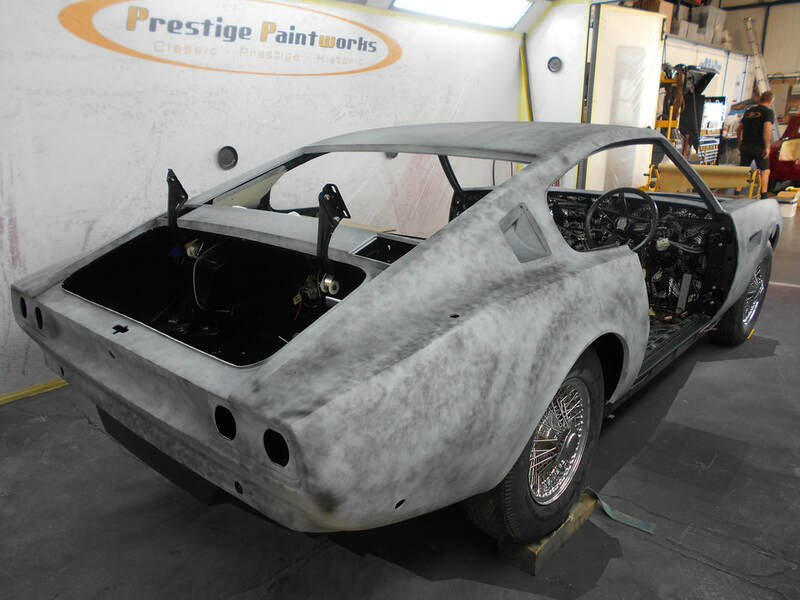 Once completed the chassis was sealed and painted with anti corrosive epoxy primer. 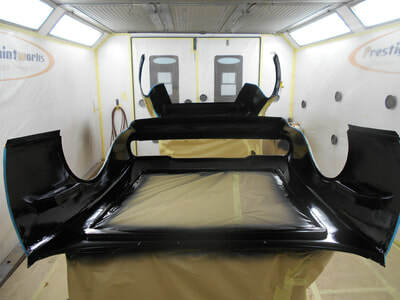 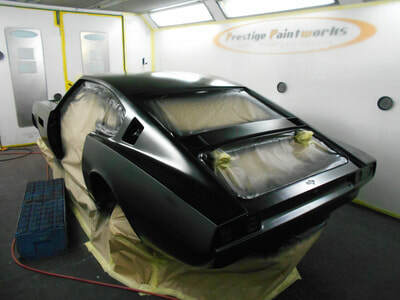 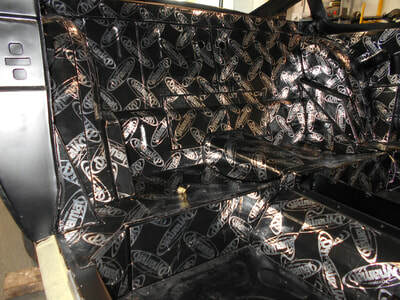 when dry it was scotched off and given 2 coats of its final finish of satin black. The front and rear clips were sanded free of paint and filler, any dents tapped out and corrosion attended to. Like the chassis they were also epoxy primed and painted satin black on their interior faces ready for test fit and final wrapping back onto the chassis. 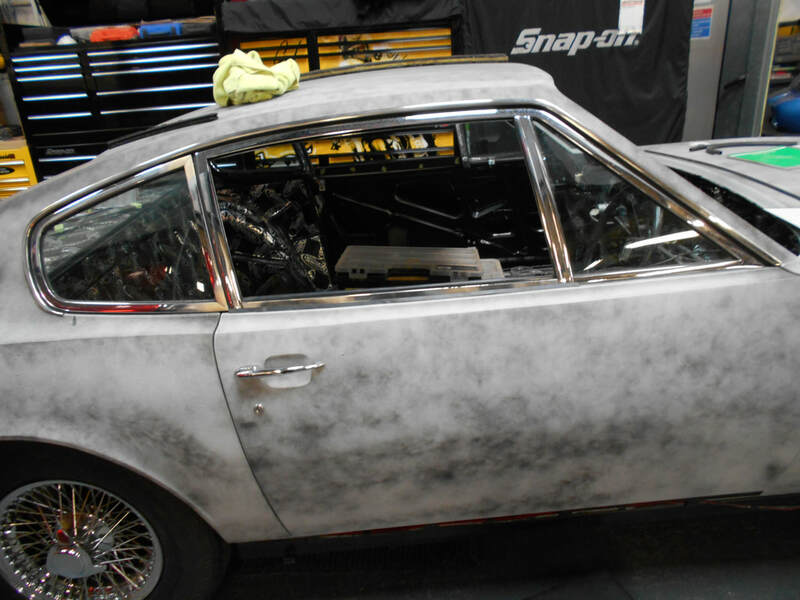 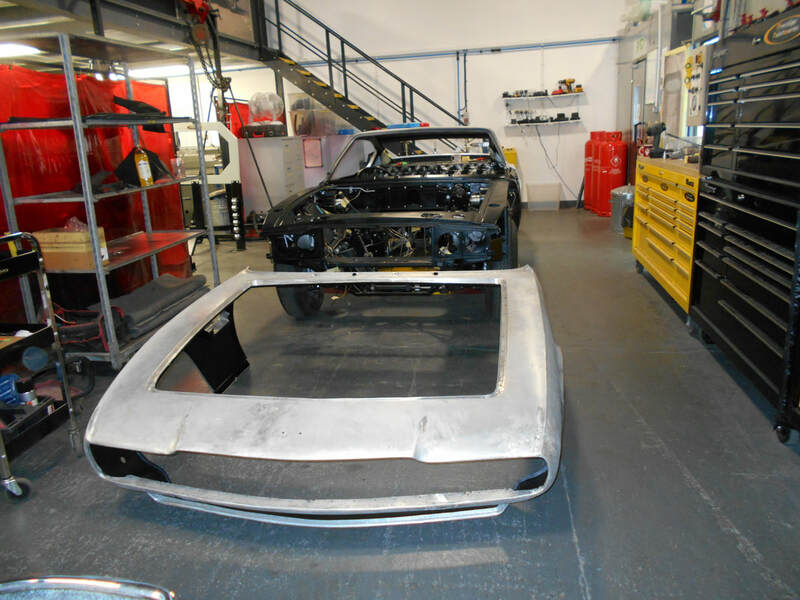 Before being welded/ rivetted back onto the chassis the clips and door positions were adjusted to maintain a consistent 5mm metal to metal gap throughout the car. 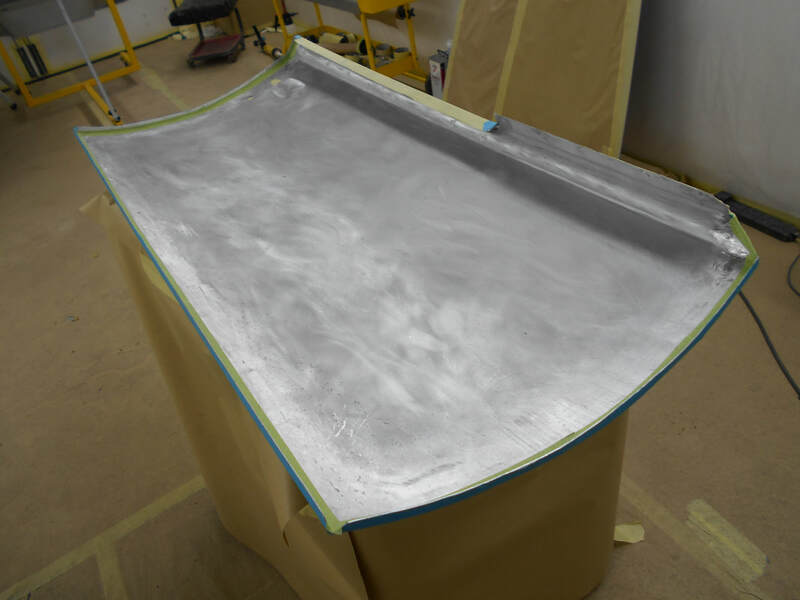 Once the prep and paint processes are layered up and complete the gap closes and we end with a consistent 3mm finished panel gap. 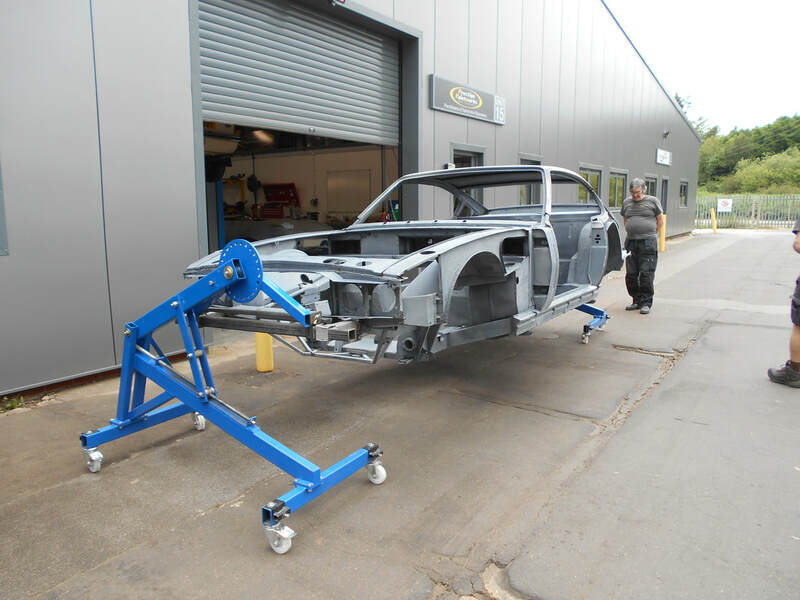 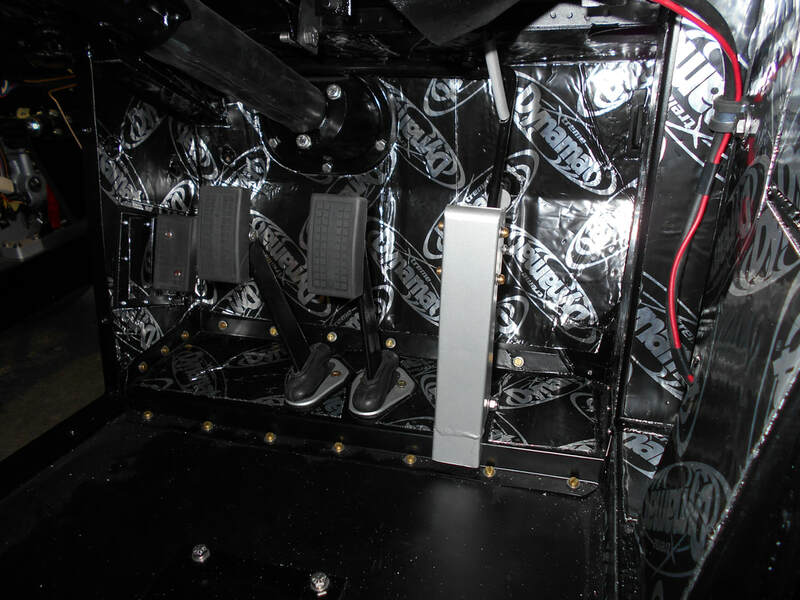 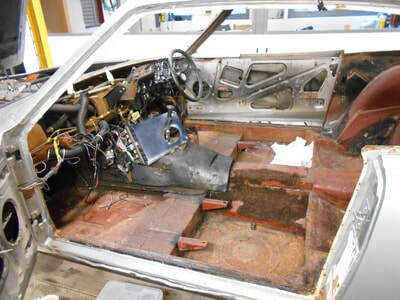 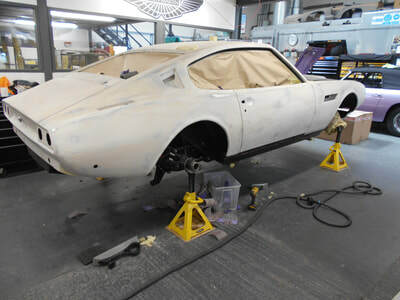 With the car back together the levelling could begin, as could the installation of the wiring loom, restored small ancillaries, interior sound insulation and the suspension/ steering/ axle so the car could be moved around the workshop with ease. 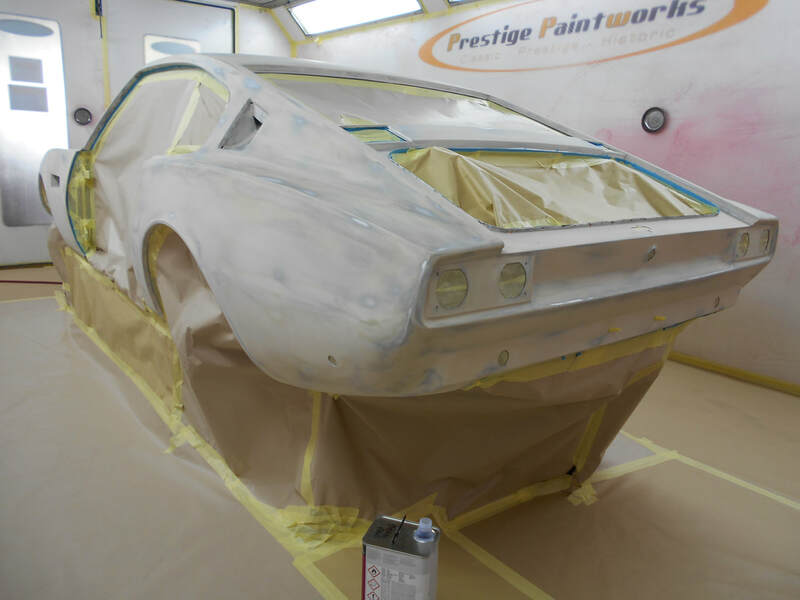 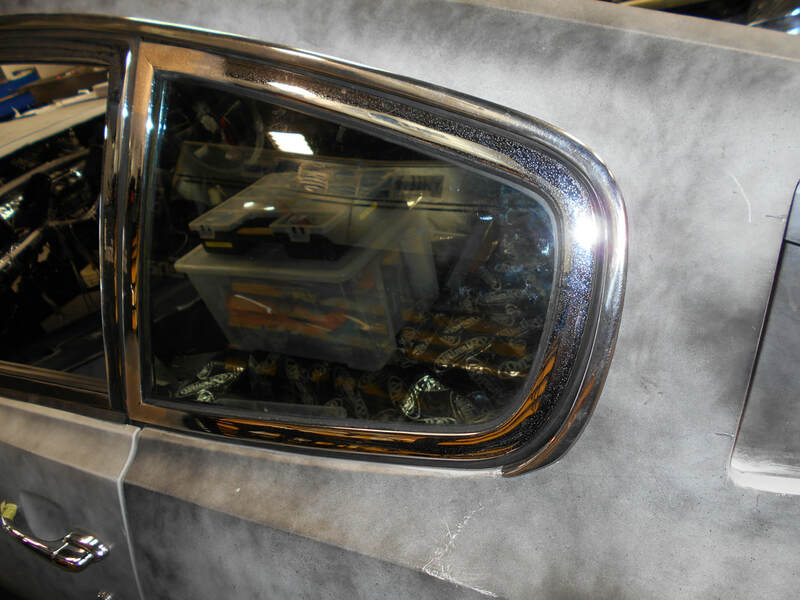 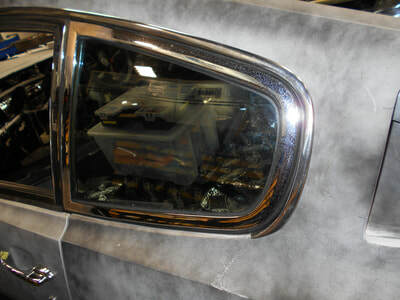 Once levelled and polyester applied, the exterior fixtures were test fitted back to the body to check gaps and fitment prior to blocking. 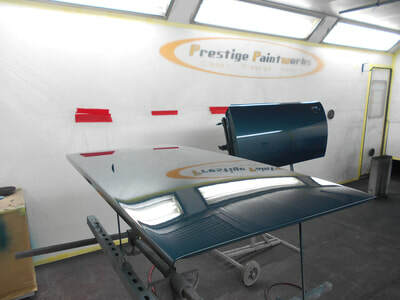 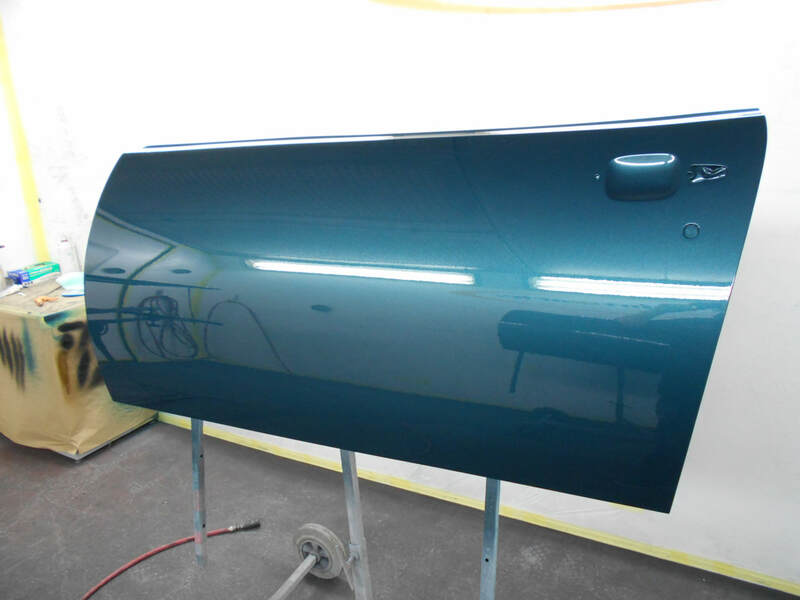 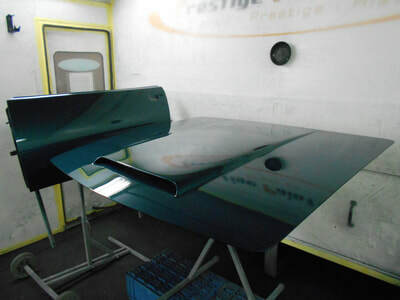 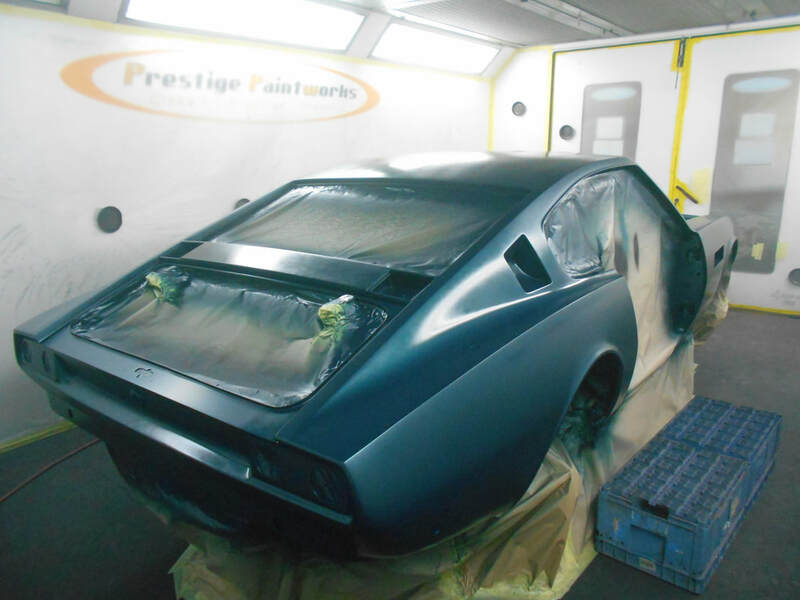 This car required a lighter second application of polyester to fine tune the shape prior to sealing and it's recent epoxy primer and colour/ clear coats in stunning Aegean Blue. 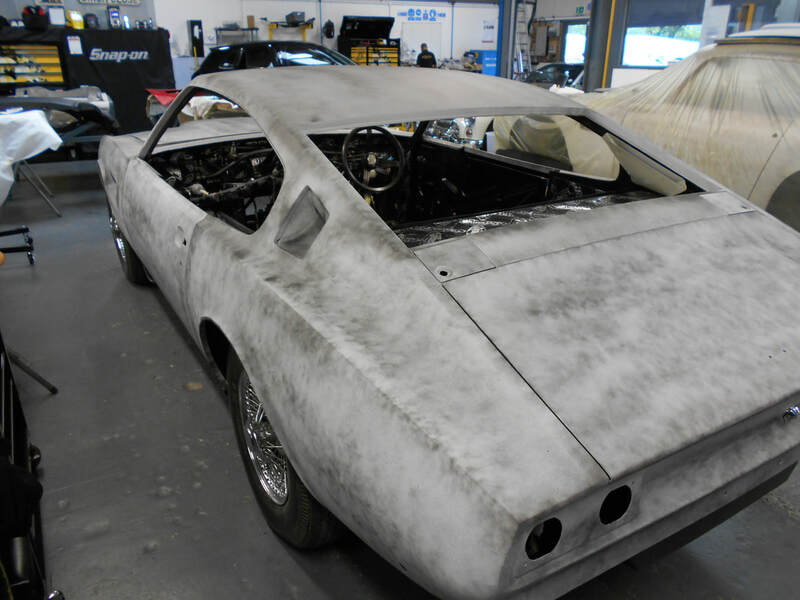 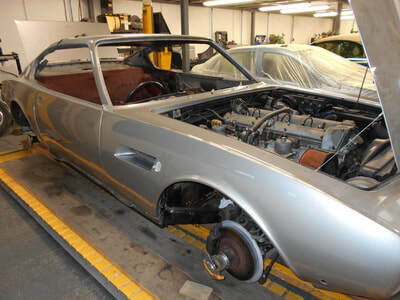 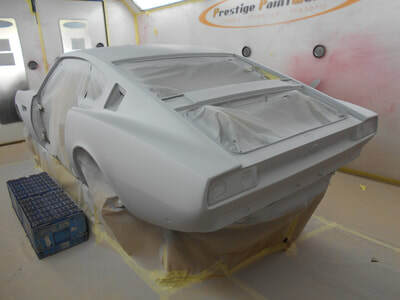 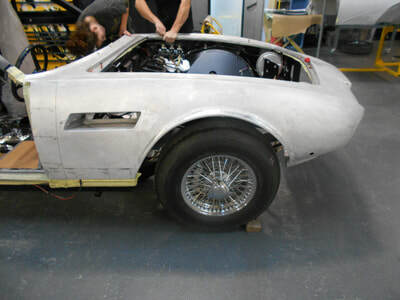 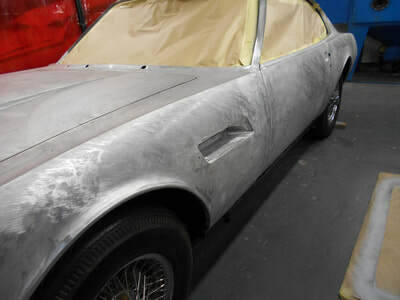 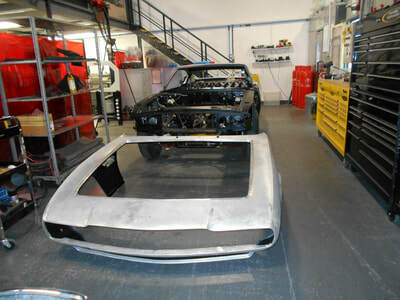 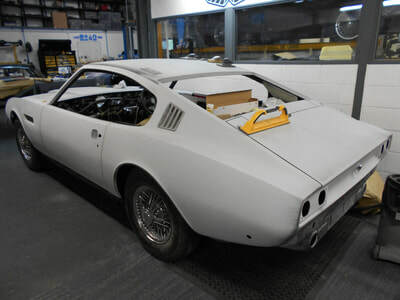 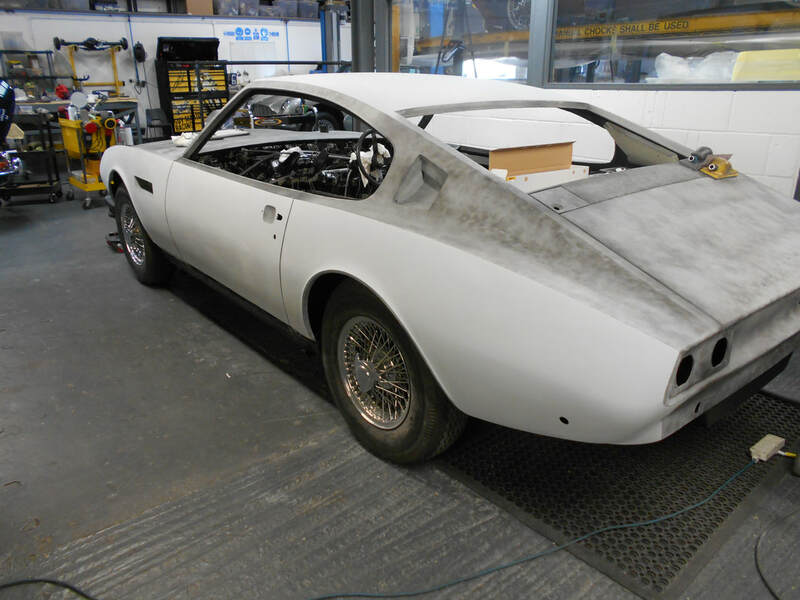 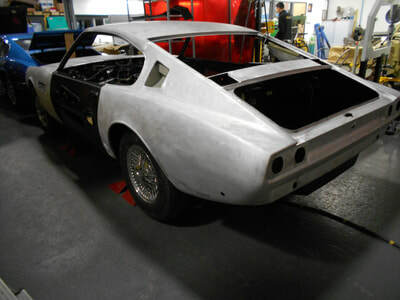 The car is currently being flatted for polishing and the mammoth refit has re-commenced.